From the center outward. From the epicenter to the periphery. "Designing a product is like building a city. You cannot start by building the first floor of every building of the city, then the second, and so on. You want to get one building right, and go on from there." Show your customer the process he is supposed to go through. Let him see the entire process before he embarks on it. The visitor must know at a glance what you expect him to do. You must also give him a heads up how many steps there are in the process. That way, he can estimate if it's worth his time and effort, and he can be sure there are no surprises along the way. Each element of our apps must have a good answer to the following questions: who is it for? why is it important for my customer? why does he care? 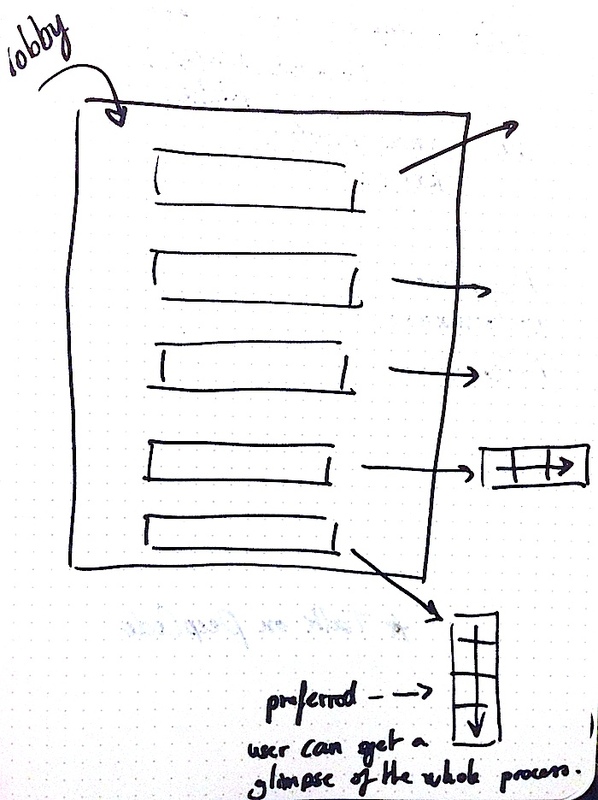 It seems all web designers these days swear by grid design. It creates order and harmony. It’s easy on the eye. But what if adding a critical link or button somewhere on the page breaks the grid. Should you leave it out? Or break out of the grid? If that button is really important, if it adds more value to the customer than it takes away, then feel free to break out of the grid. It’s a trade-off. If it’s worth it, do it. "Never let your decisions be dictated by the grid." -Ryan Singer.